Why listen to advice from someone you've never heard of? The simple answer is, because Dan Romm is a winner. While others have made their names winning championships, he has spent over forty years playing bridge for money, in games that included some of the world's best players. And he has been a consistent winner. Now he tells you how he did it. He describes the factors that will make you a winning player: judgment, adaptability, planning, psychology, and lastly, technique. He talks about how to recognize when to ignore the rules, which overall strategies work and which don't, and how to get the best out of your partners. Finally, while promoting a bidding style that is largely natural, he discusses a number of popular conventions, explaining their drawbacks and recommending a (very) few as being worth playing. This is a unique book that can help turn you, too, into a winner. Dan Romm holds degrees in mathematics and law and is now retired after a highly successful career in the software industry. His hobbies are bridge, modern physics, philosophy and travel. He has written A Grain Of Salt: Why You Must Make Your Own Decisions and is included in Who's Who In America. He is the father of two and currently resides in Seattle. 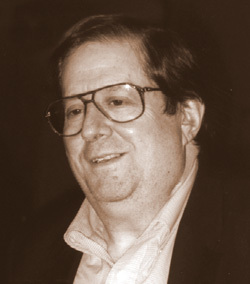 Paul Soloway (1941-2007) was by some distance the ACBL's leading master point holder at the time of his death. One of the dominant American players of his generation, he won more than 30 national titles as well as five world championship gold medals, and four world silver medals. A member of the Dallas Aces in the 1970s, he had long-term bridge partnerships with Bobby Goldman and Bob Hamman, playing with the latter on the famous Nickell team in the 1990’s. 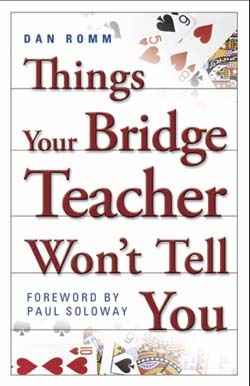 "I highly recommend that you make this book a cornerstone of your library and add Dan's potent tips to your bridge arsenal."